Hope you are well? How has this week been treating you? Did some of you head back to school today? I love this case, I spotted it almost as soon as I walked in to the shop. 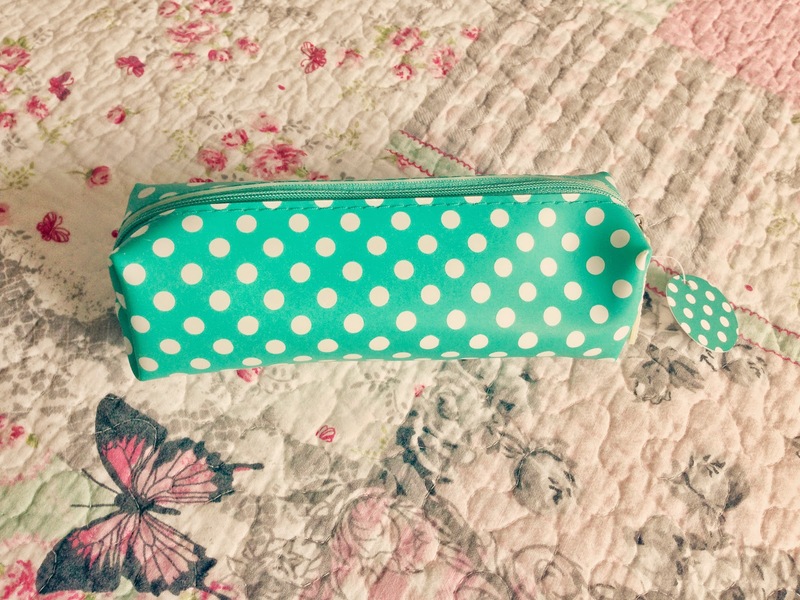 It's a small neat pencil case that would easily fit into your handbag but just big enough to be able to put the essentials into it. :) I needed a little case so that I didn't have pens rolling around in my draws anymore! (Of course I did!) 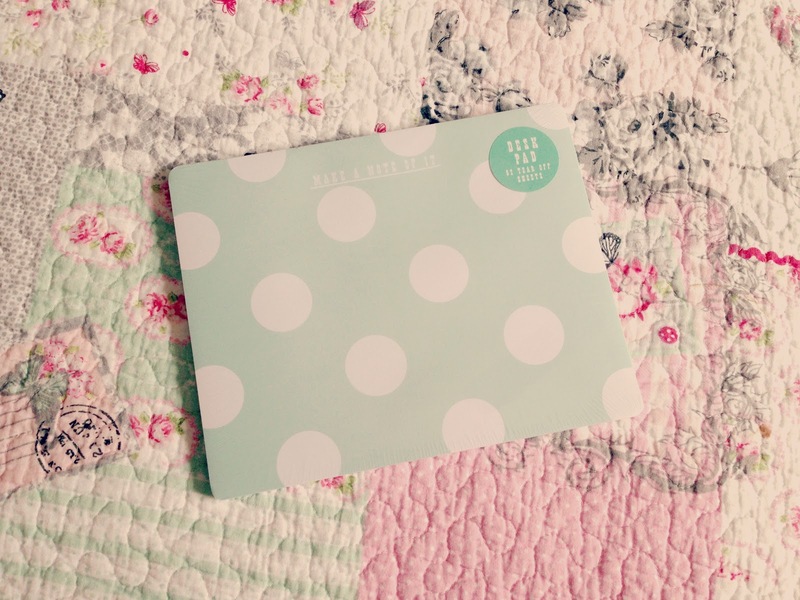 Lol I couldn't say no to this is beauty, I mean look at the cute mint green colour with the white dots! The next two items are the only things which I didn't buy from Paperchase! I brought this to try and help me organise my daily life a bit better so I can actually remember the little things that I need to do! I still tend to have quiet a lot of baby brain moments, although I am not really that sure if I can blame that for much longer....Can I? :) It has lovely thick paper pages and a small hole so it can be hung up on the wall for all to see! 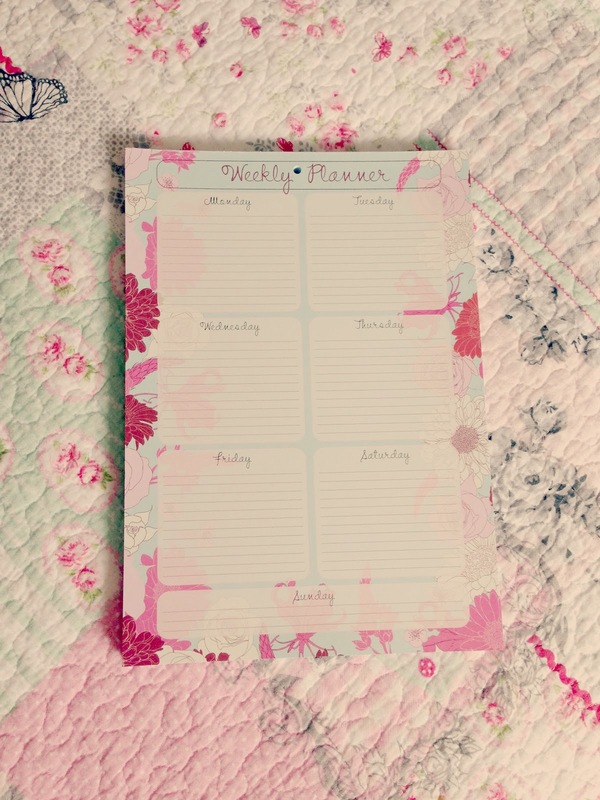 I will let you know if it actually helps me get organised at all or not! 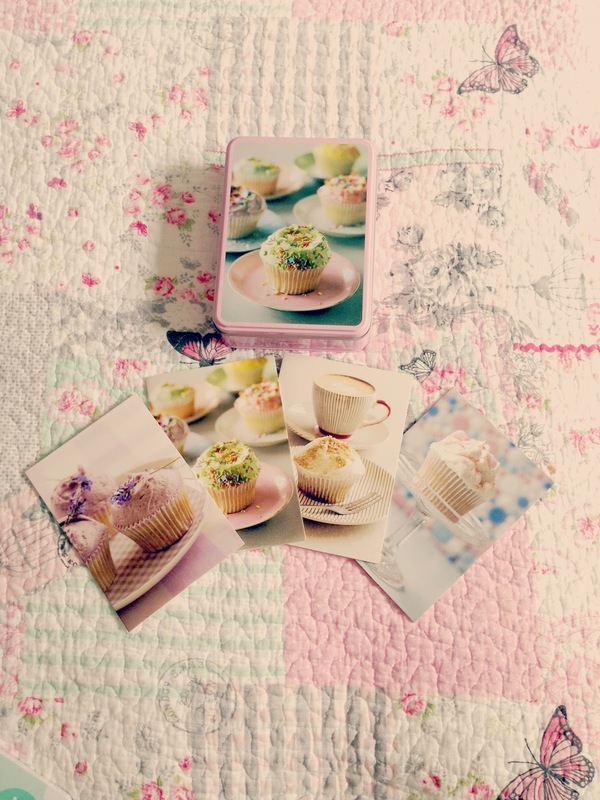 Isn't this tin of cards just so cute! You get the four different cards in it and four of each design. They are all blank inside but on the back of each one is the recipe for the cupcake which is shown on the front of the card! I loved this so much! :) They also come with envelopes. What do you think? 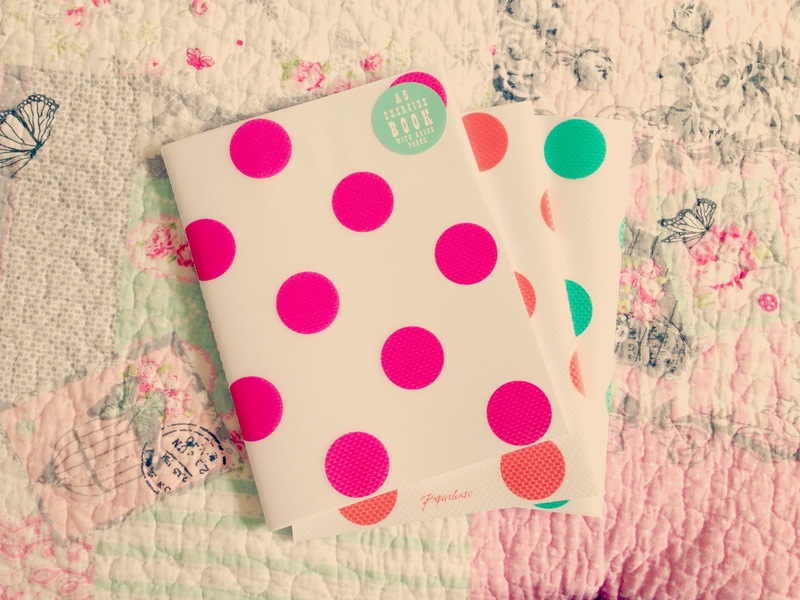 Have you seen any other stationary, anywhere you think that I might like? Please let me know if you have! 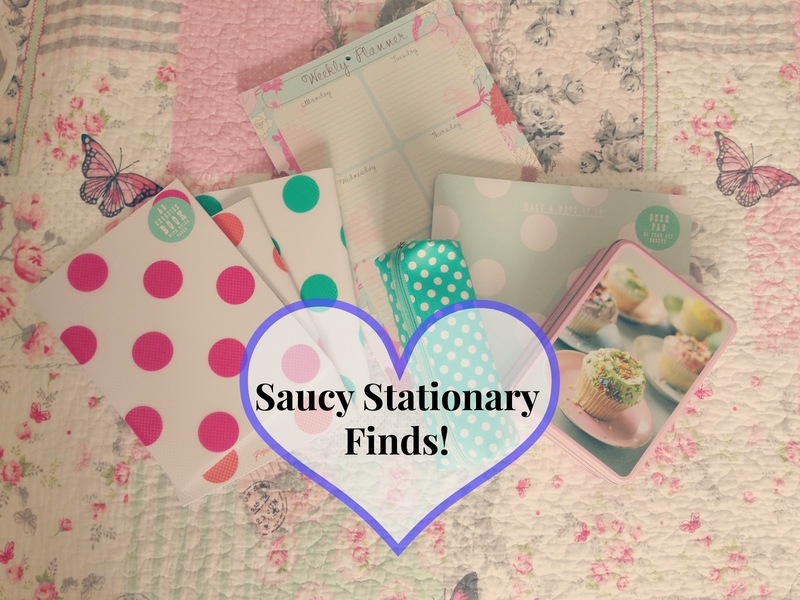 :) Do you have any stationary favourites? Don't get me started on paperchase! I love it! I end up in there for hours! Just buy me the whole shop.